Dimensions 0.50 by 8.25 by 10.25 in. 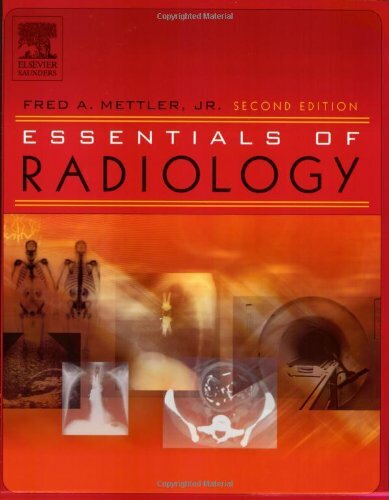 Amazon.com description: Product Description: This best-selling radiology primer clearly explains the basic principles and clinical applications of plain film, CT, MRI, and nuclear medicine. Written in straightforward, accessible language and assuming no prior knowledge of radiology, it provides an ideal introduction to the field. The new edition reflects the all of the momentous recent changes in diagnostic imaging technology and applications, including the diagnosis of abdominal, pelvic, and retroperitoneal conditions. It also presents new coverage of the evaluation of headache, hypertension, and low back pain. Over 550 outstanding, beautifully reproduced digital images demonstrate every essential concept. Discusses recent advances in the diagnostic imaging of abdominal, pelvic, and retroperitoneal conditions. Offers an increased emphasis on CT scanning, including helical CT. Covers the latest developments in nuclear medicine, especially PET and the new hybrid CT/PET scanners. Explores the radiologic evaluation of headache, hypertension, low back pain, and other challenging conditions. Incorporates new material on screening for colon and lung cancer. About: This best-selling radiology primer clearly explains the basic principles and clinical applications of plain film, CT, MRI, and nuclear medicine. About: This introductory text brings the reader up to speed on a wide variety of imaging modalities, including magnetic resonance imaging.